A recent visit to The National Archives unearthed the following interesting sketches from Haig’s diary. The drawings are by Commandant E. Requin, a liaison officer between General Joffre and General d’Urbals’s HQ. 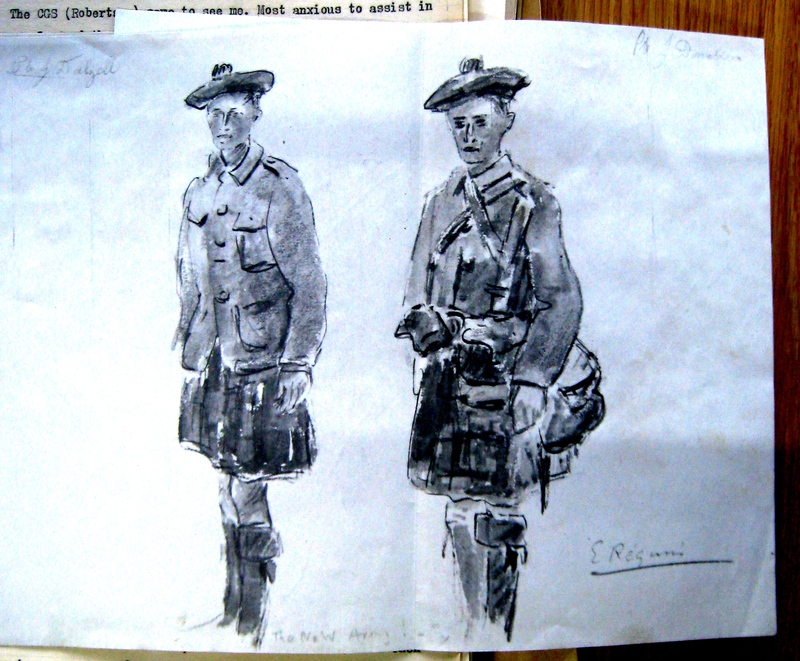 The first sketch shows Joffre himself and then a soldier of the 97th Regiment. 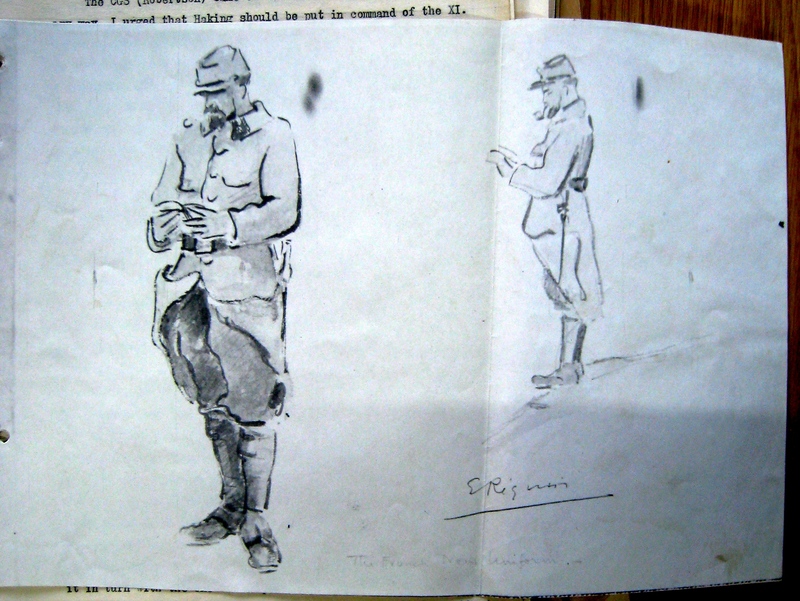 The final sketch shows a pipe-smoking French solder in his dress uniform. Haig thought the sketch of Joffre was “excellent” and noted that Requin had been at Aldershot. 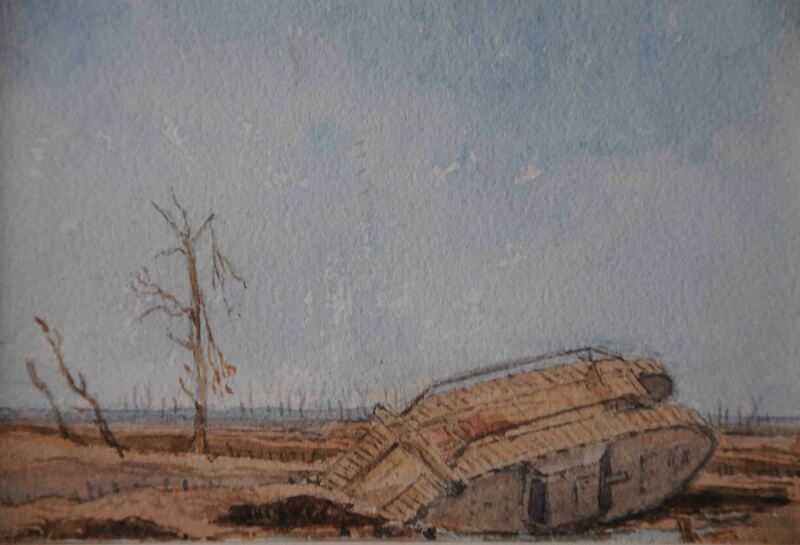 Interesting post from archaeologist Francis Pryor on a painting by his grandfather, Lieutenant Colonel Walter Marlborough Pryor DSO & Bar, DL, JP, of a derelict tank on the edge of the Steenbeck, St Julien. The view is from Battalion H.Q. in the line during 3rd Battle of Ypres and was painted in August 1917. From Pryor’s London Gazette entry – 19th January 1918 – he was an acting Lieutenant Colonel from 7th September 1917, so this may have been painted while he was still a Captain (acting Major) with the Hertfordshire Regiment. Francis’ full blog entry is here.